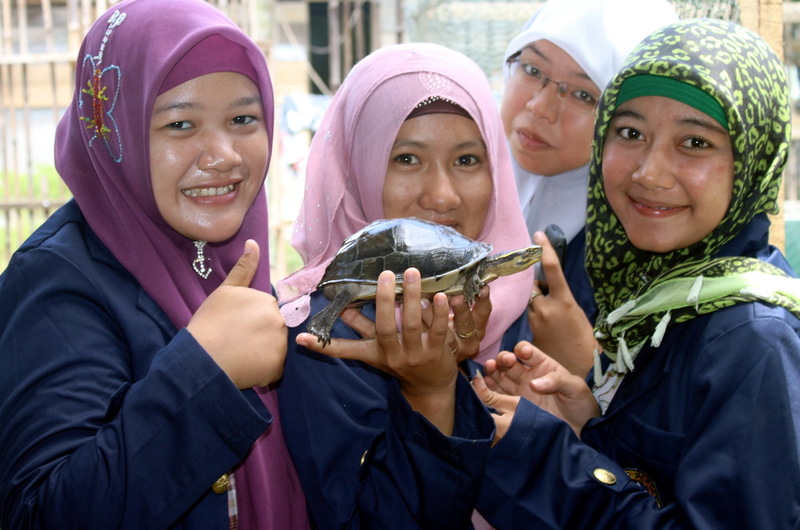 Eighteen students of IPB (Bogor Agricultural Institute) Distance Learning Program in Aceh Tamiang visit our rearing ponds to learn about Painted terrapin (Batagur borneoensis) conservation (18/06). 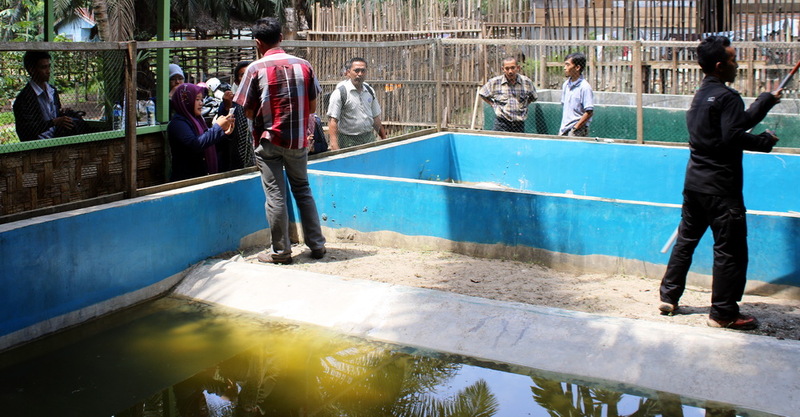 They learn about the conservation status of Painted terrapin (Batagur borneoensis) method of nesting patrol, incubation, raising the hatchlings and the roles of that species to mangrove ecosystem. In that three hour visit, the discussion are running very well. The students’ enthusiasm to asking questions to member of Satucita Foundation are high. After the discussion, students watching the hatchlings of Painted terrapin in the ponds. They are also interested to see Asian Box Turtle (Cuora amboinensis). “It is my firts time experiences to see the hatchlings of Painted terrapin”, said Linda, one of the students. These students are from fisheries major. Beside about conservation, they are also also interested to learn about social enterpreneurship sucha as how to build and develop conservation organisation. The founder, chairman and another member of The Foundation sharing experiences about Satucita. “It is interesting to share our experiences to students, although Satucita is still local and small. The big things are always started from a small thing” said Joko, Founder and Program Director of Satucita.